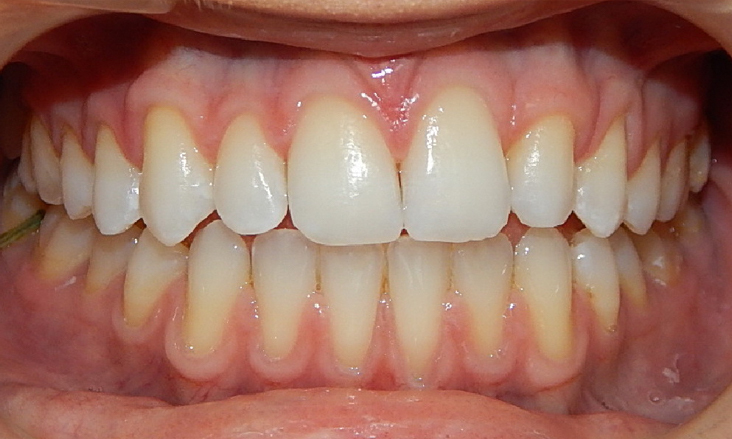 When teeth are missing one option for treatment is to move other teeth in to the positions of the missing teeth. 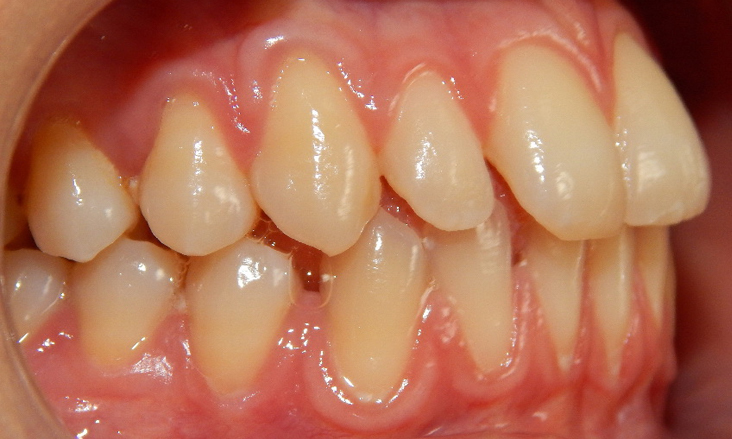 No false teeth are then needed and generally all spaces are closed. 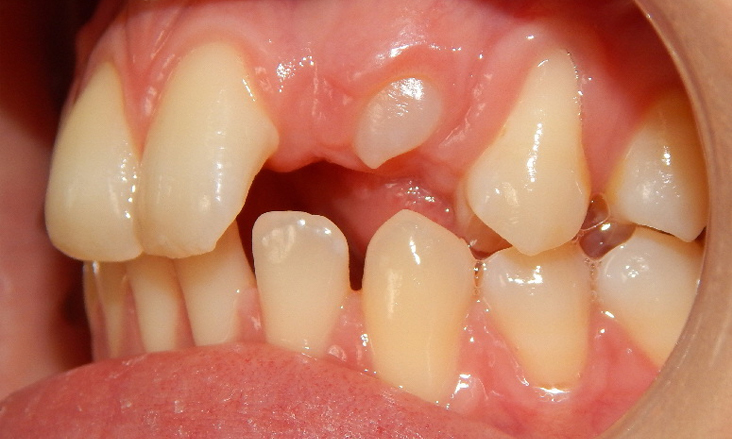 Often the tooth that is moved in to the position of the missing tooth need to be modified so they look like the teeth they are replacing. 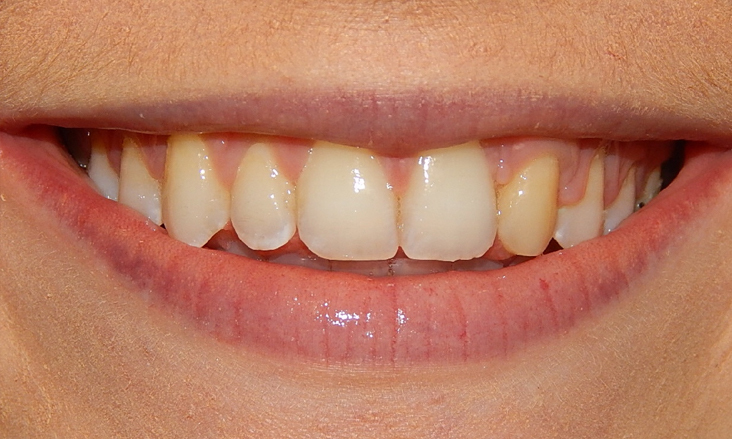 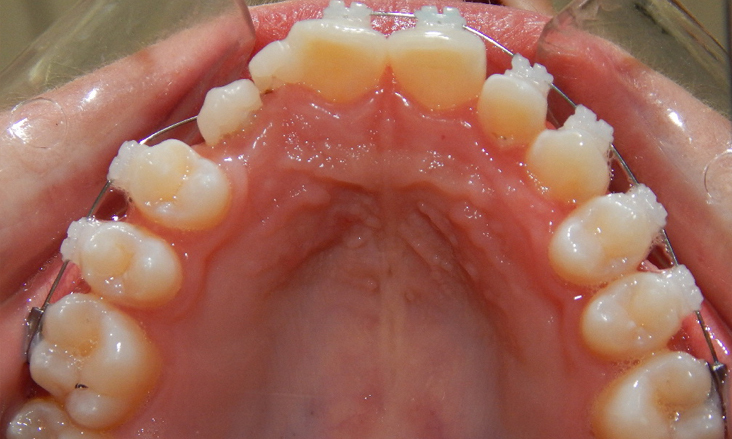 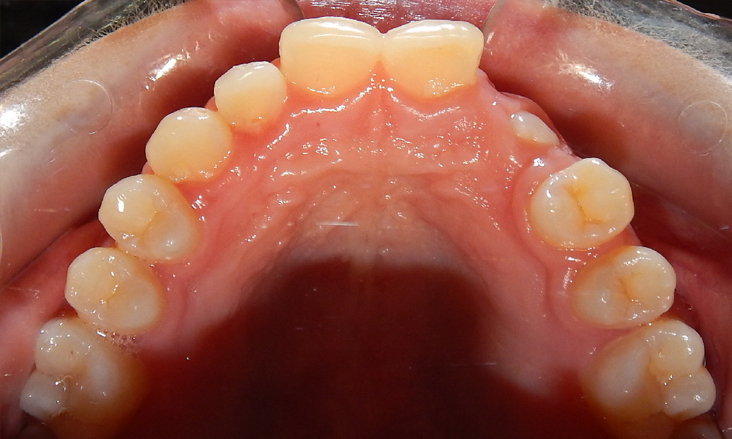 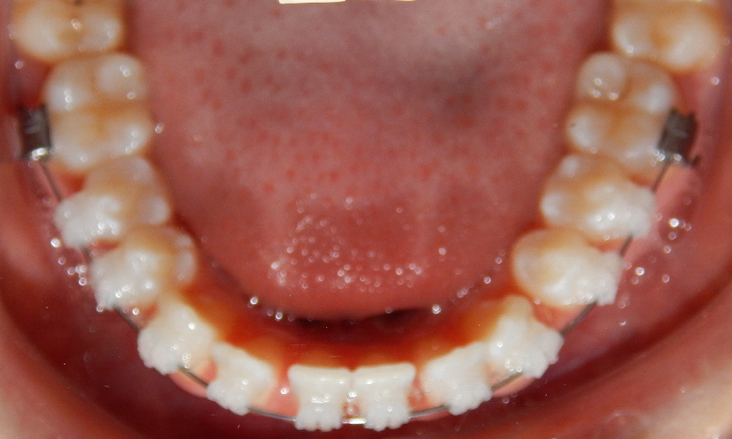 In this patient the upper left lateral incisor tooth (#22) was congenitally missing. 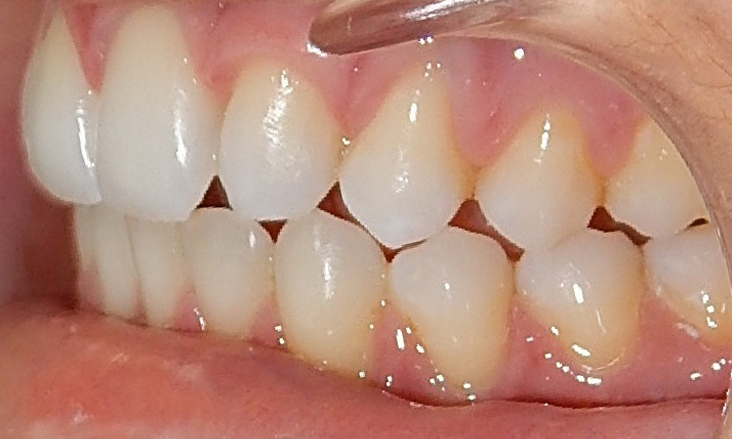 The decision was made to move the upper left canine tooth (#23) and all other teeth on the left upper side forwards so that the #23 would replace the #22. 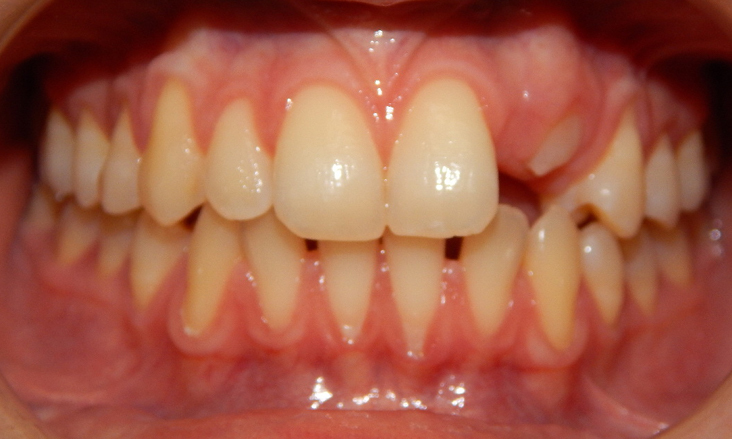 This is a very technically difficult procedure as asymmetry of the teeth can be introduced. 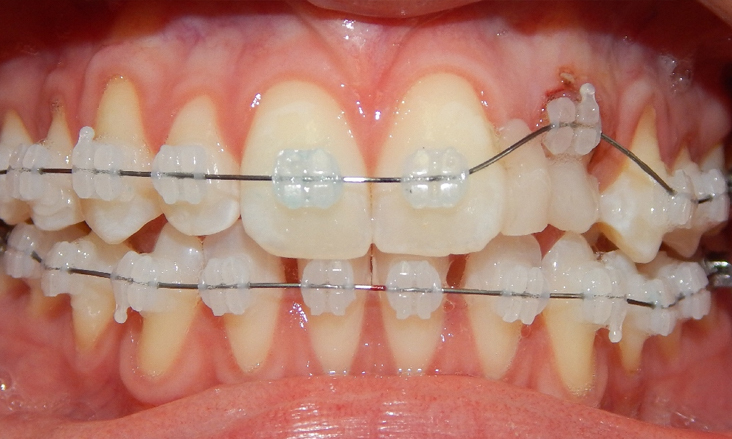 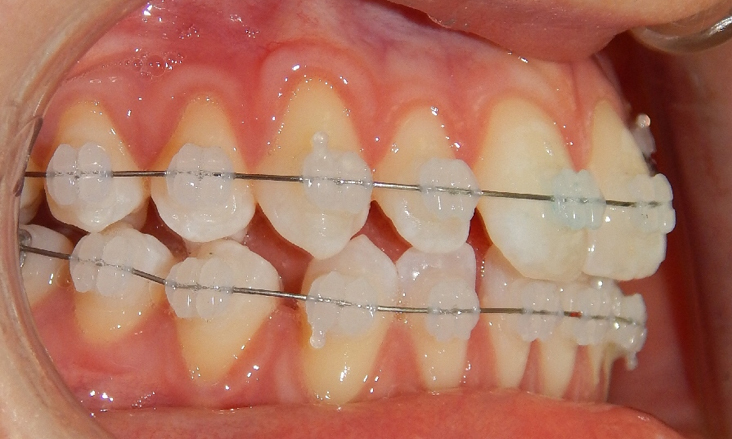 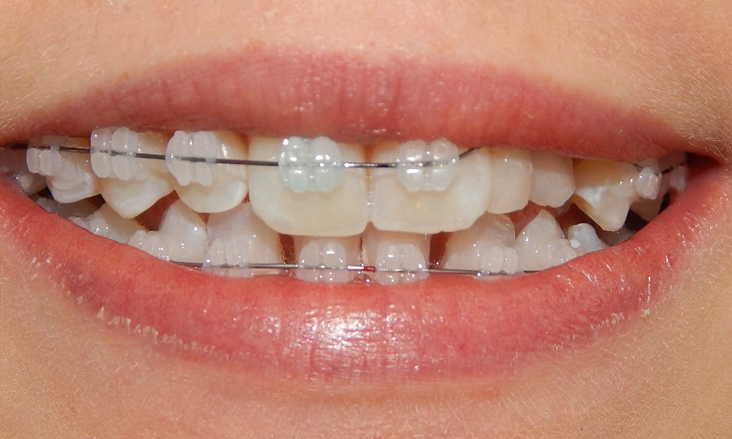 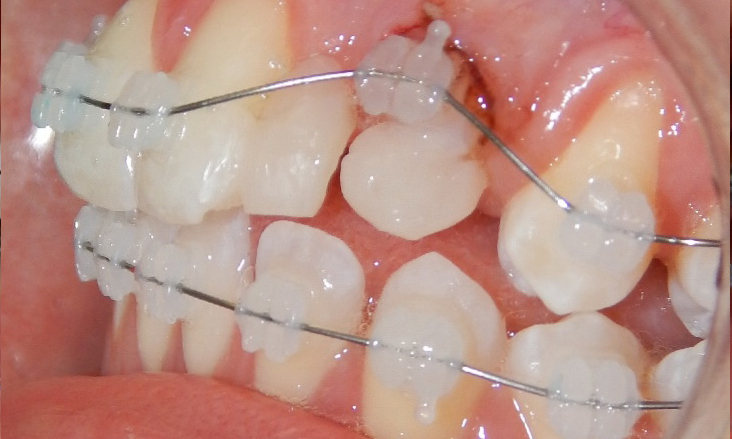 Braces where precisely placed to move the upper and lower teeth to the optimal positions. 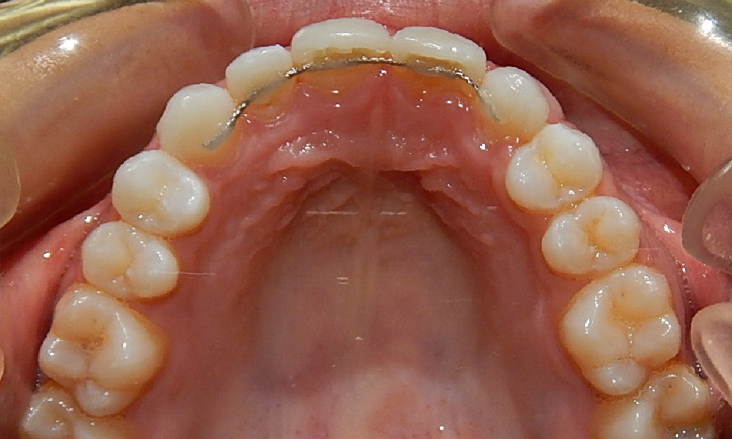 A TAD (miniscrew implant) was also used to provide anchorage to move the upper left teeth forwards without the upper right teeth moving to the left. 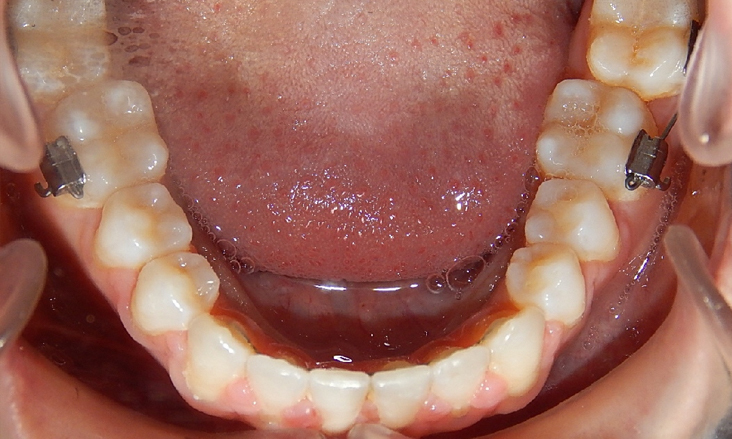 The #23 was modified slightly in shape by trimming the tooth, then bleached (whitened) and restored with tooth coloured filling material (composite resin) to provide the ideal aesthetic result. 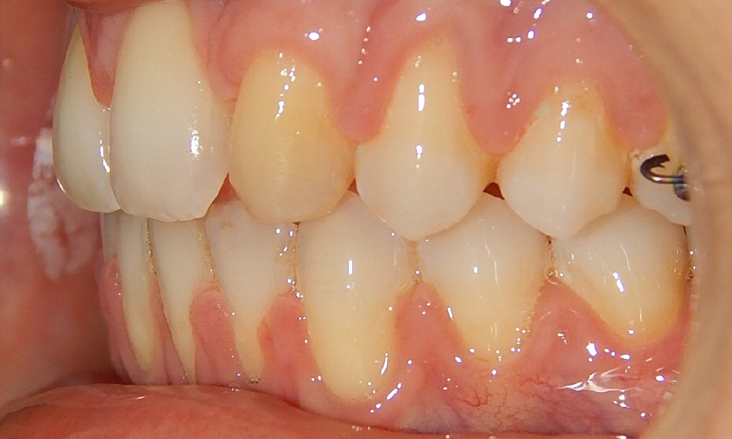 Aesthetics were very important at every stage of treatment for this patient. 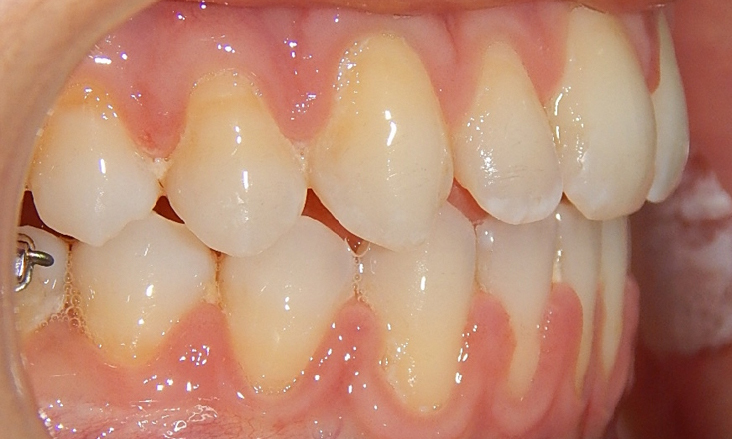 Tooth coloured filling material was added to the #23 while it was moving in to the best position to maintain aesthetics as best we could. 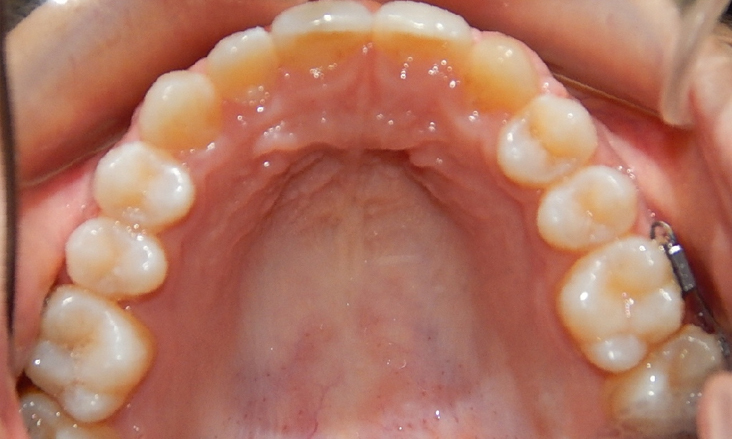 Braces have been removed from all but back teeth. 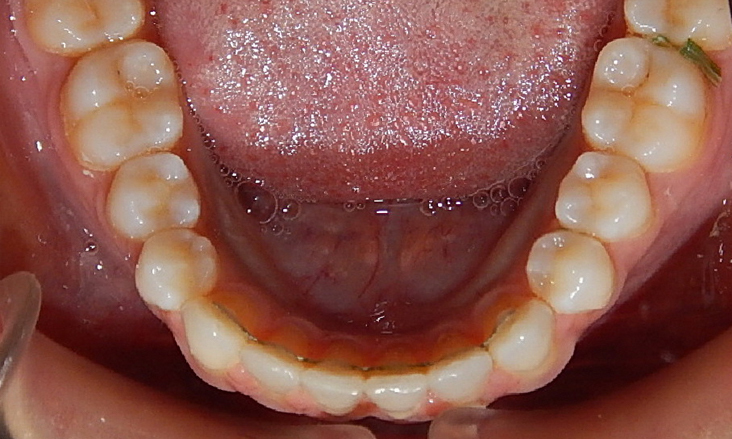 Note the difference in shade of the #23 to the adjacent teeth. 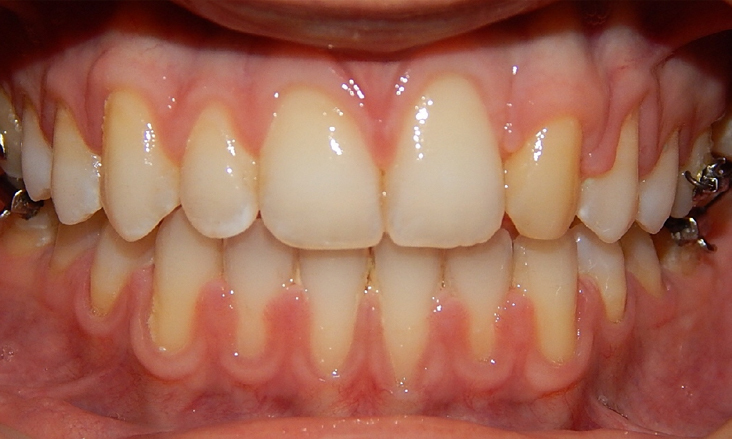 This will be improved with tooth whitening. 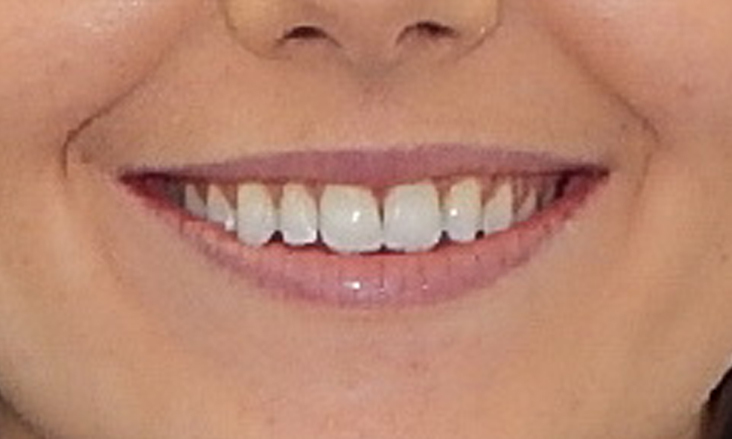 Note also that symmetry of the teeth has been maintained. 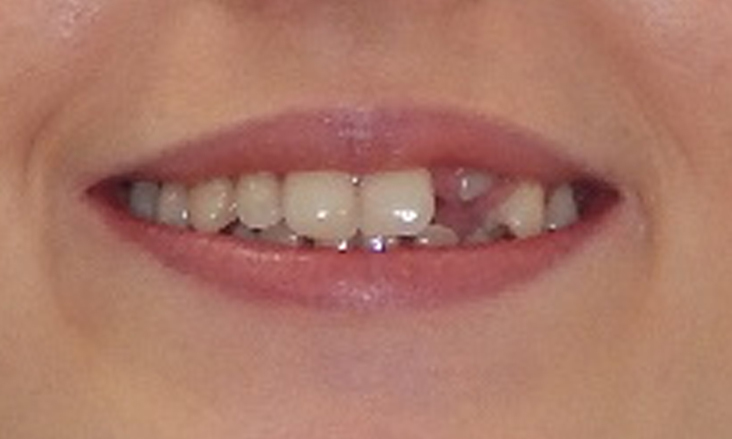 All braces have now been removed. 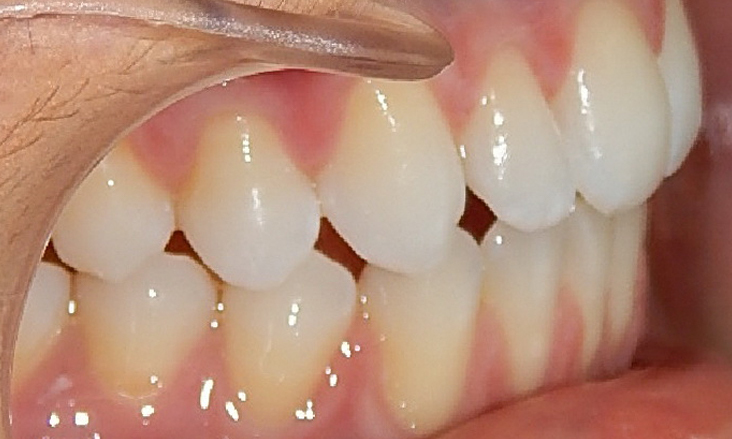 Tooth #23 has been bleached, modified in shape and a small amount of tooth coloured filling material added to improve its shape.